Embedded in the middle of the Tennessee River chain in north Alabama, Wheeler Lake fishing often gets overshadowed among more-publicized sister fisheries like Guntersville and Pickwick. 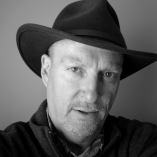 Add the fact that Wheeler went into a downturn after losing its grass about 10 years ago, and fishermen found easier pickings either upstream on Guntersville or downstream on Pickwick or even Wilson. The disappearance of the grass remains something of a mystery – spraying and pollution are among the likely culprits – but the abundant milfoil and hydrilla beds that once flourished are gone, causing fishermen to adjust their approach and target the whole lake rather than focusing on the famed Decatur Flats adjacent to and just to the west of the city. Despite the decline from its peak 10 to 20 ago, Wheeler Lake fishing remains a good all-around fishery that still attracts major tournaments – FLW brought the Forrest Wood Cup here in 2016 – and offers some of the best facilities around. “Wheeler Lake fishing has definitely changed over the last 10 years and the last 15 and the last 20,” said Jimmy Mason, who learned the fishing trade on the lower end of Wheeler near his home in Rogersville. “A lot of guys probably get tired of hearing how good Wheeler was when we had the grass. A lot of these guys, the college fishermen and other younger fishermen, will never really know just how good Wheeler has been in the past. Sometimes I wonder if they even believe me. Mason speaks from experience. A guide and tournament competitor who currently helps create the LakeMaster maps for Humminbird, Mason, (Jimmy Mason Guide Service) lives literally minutes from the best ramps on the lower end of Wheeler. Through the years, he has expanded his guiding range and tournament fishing to include the entire lake. While black bass still dominate, Wheeler Lake fishing tournament competitors and fun fishermen alike share Wheeler with other anglers pursuing a wide range of species and world-class fishing still exists, especially for catfish. Big smallmouth bass are part of the equation on Wheeler Lake and can be found from dam to dam on the lake. Photo by Greg McCain. The lake stretches from Wheeler Dam near Rogersville to Guntersville Dam just west of the city of Guntersville, covering just over 60 miles and 60,100 acres. The lake, the second-largest in Alabama, can be roughly divided into three sections and features just about any type of fishing imaginable within that expanse. The mid-section was long known as the go-to location on the lake. The flats near Decatur were smothered with grass and attracted a legion of fishermen. Wheeler, in fact, was perhaps better known as a grass lake than even Guntersville at one time. When the grass disappeared, the congregation of fish dispersed, and fishermen were forced to adjust their approach. They soon learned either to target the expansive areas downstream or to run upstream and fish the riverine, current-dominated section below Guntersville Dam. Wheeler Lake fishing in the mid-lake area changed as well with ledges and rip-rap becoming the choice locations. Wheeler isn’t exactly known as a ledge lake in the same vein as Pickwick or Guntersville, but some ledge opportunities exist around Decatur. The obvious target in the middle section is now the rip-rap that lines the south bank and the three bridges that traverse the river. The tailrace area upstream, despite the long run from Ditto Landing near Huntsville or even longer run from Decatur, continues to attract more and more bass fishermen. 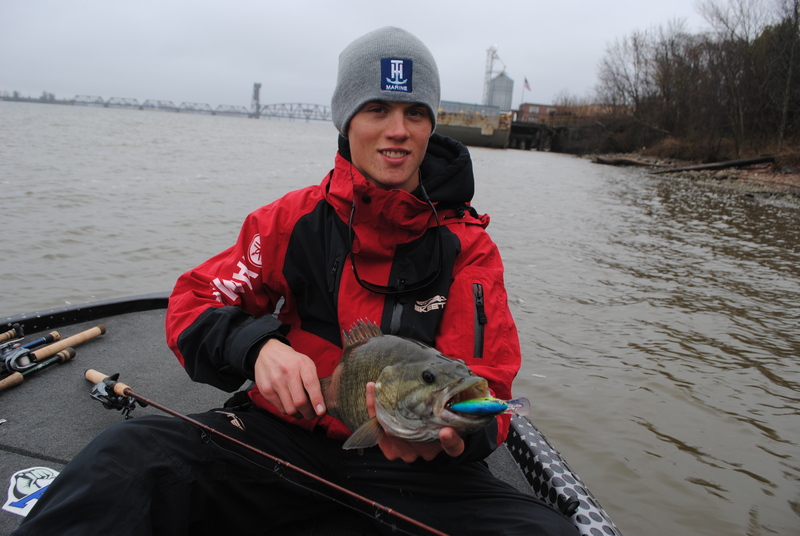 Mason added that jigs, spinnerbait and top-water lures also catch fish upriver, where the opportunity to catch three species of bass can be pursued just about any time of the year. The winners of the 2017 Alabama Bass Trail event on Wheeler fished upriver and weighed a mix of largemouth, smallmouth, and spots in their 30-lb. winning limit. “The upper portion has become over the last 10 years more of a factor in different tournaments and in general fishing,” Mason said, “like the guys in the ABT this year. It was one of the coolest things I’ve seen because they had 30-lbs. with one of all 3 species. They had a 5-lb spot mixed in. That’s pretty impressive. The lower end features deeper water, steep bluff walls surrounded by cuts, sloughs, and feeding flats. A good mix of largemouth and smallmouth exists on the lower end. The smallmouth grow big and can be found just about anywhere as they roam. Largemouth are more abundant and acclimate to bluff walls, channel swings and just about any type of wood structure. Late in the year, Mason said schooling action and finesse fishing both produce good numbers. A small walking bait or popper will catch schooling bass. As the schooling bite wanes later in the fall, Mason regularly throws either a small finesse jig or some type of shaky head rig. As the colder weather arrives, Mason turns to a jerkbait if the water remains clear or to cranks and big spinnerbaits if the water muddies. Wheeler is not just about bass fishing. White bass are a great schooling target in the fall. Photo by Greg McCain. While bass remain the major draw for Wheeler Lake fishing, the lake features excellent fishing that can be as good or even better for white bass, catfish, crappie, and bream. Mason, in fact, targets the white bass in the late summer and fall when he takes his pre-school aged children fishing. He suggests that the white bass are one of the best ways to introduce youngsters to the sport, and the “stripe” as they are known locally offer steady, dependable action. “It’s definitely white bass if I’m fishing with my kids,” Mason said. “From early to mid-fall, it can be really, really good. 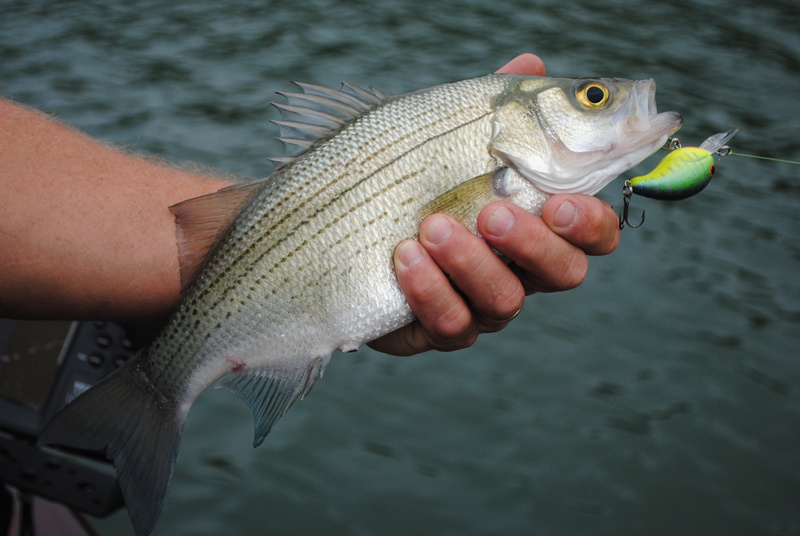 If you want to catch the most fish on Wheeler, white bass are the way to go. Catfishing might be the best overall opportunity of Wheeler Lake fishing. Guides like Mike Mitchell (Southern Cats Guide Service), fish for trophies all over the lake with the blues reaching up to about 100 pounds and flatheads in the 50-plus range. Plenty of eating-sized blues and channels are available as well. The catfish population was not affected by the disappearance of the grass as much as other fishes and continues to flourish. 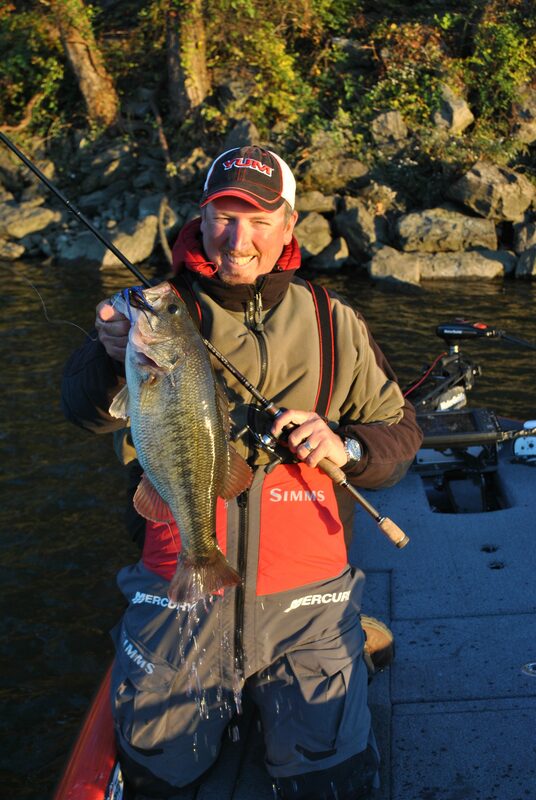 Mitchell targets big fish over 50 lbs up and down the Tennessee River chain, but Wheeler remains a favorite among the various lakes he fishes. For crappie fishing, Mason pointed out the dock-shooting opportunities around Elk River, a big tributary on the lower end, and said he catches fish on jigs around deep brush piles. Around Decatur, late fall and winter crappie fishermen target a shallow bite, something of an anomaly on the Tennessee River, trolling the flats just inside and outside creek mouths. Flint, Fox, and Mallard are just a few of the creeks that feature good shallow crappie fishing on select days in the colder months. During just about any warmer stretch that lasts for at least two or three days, the crappie will chase baitfish in water as shallow as two feet deep. 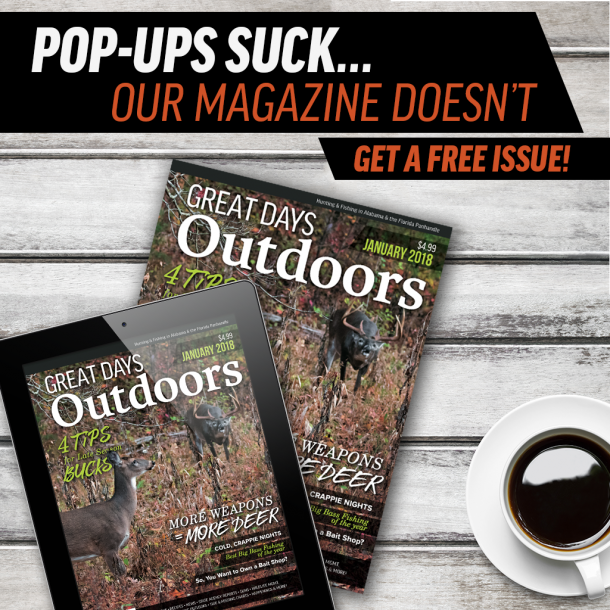 “The crappie bite gets even better later in the fall and into the winter,” Mason said. A trip a year or so ago with young B.A.S.S. Southern Open competitor Sam George, of Athens, illustrates Wheeler’s potential. We had planned an early-winter trip with designs of running upriver from Decatur. We never got farther east than the I-65 bridge because the fishing proved so productive in the Decatur area. The trip turned into one of those one-rod days that fishermen love. George and I exclusively threw crankbaits for a half-day of fishing and constantly got bit with Sam catching several largemouth bass in the four to five-pound range around the rip-rap that runs up the bank from Ingalls Harbor, around the rip-rap shoulders under the U.S. 31 bridge, and around rip-rap and pilings adjacent to the railroad bridge. In addition to the many smaller bass that we boated that day, I also connected with but didn’t land a monster smallmouth, probably the biggest I’ve ever hooked. The big brown bass hit near the boat as we fished around the pilings of the railroad bridge. It loaded up on a Bomber Flat A and fought somewhat sluggishly, possibly because of its tremendous girth. Closer to the boat, the hook slipped out although both Sam and I got a good look at the broad sides of the smallie as it taunted us on the surface for almost 10 seconds after coming unhooked. I’ve caught several smallmouth bass over six lbs. through the years. This one looked much bigger. While largemouth generally make up the bulk of the fall and winter catch in the mid-lake area, the opportunity to catch a smallmouth of a lifetime is always available just about anywhere when Wheeler Lake fishing. Wheeler Lake veteran Jimmy Mason has seen the lake evolve over the years but still catches plenty of fish on the big reservoir. Photo by Greg McCain. Almost 10 years ago, the city of Decatur invested in a new ramp facility, Ingalls Harbor. It has since attracted tournaments up to the B.A.S.S. Elite Series and FLW Tour levels. Rarely does a weekend pass without a significant tournament taking off from Ingalls, which features up to a dozen lanes for launching and parking for hundreds of vehicles and trailers. Ingalls is not the only quality ramp, however. Ditto Landing just off U.S. 431 south of Huntsville was updated over the last couple of years, mainly to serve as the launch site for the 2016 Forrest Wood Cup. On the lower end of the lake, Joe Wheeler State Park is one of the crown jewels of the Alabama State Parks system and offers a variety of amenities, including a lodge, campground, golf course, and first-class ramps. Other good launching facilities can be found at various locations around Wheeler as well. “Wheeler Lake fishing has become a different animal,” Mason said. “Maybe now it’s more of a numbers lake where you don’t go out expecting to catch a giant string. It fishes differently than any of the other Tennessee River lakes, but it’s a good lake.